All rise for the Judge. 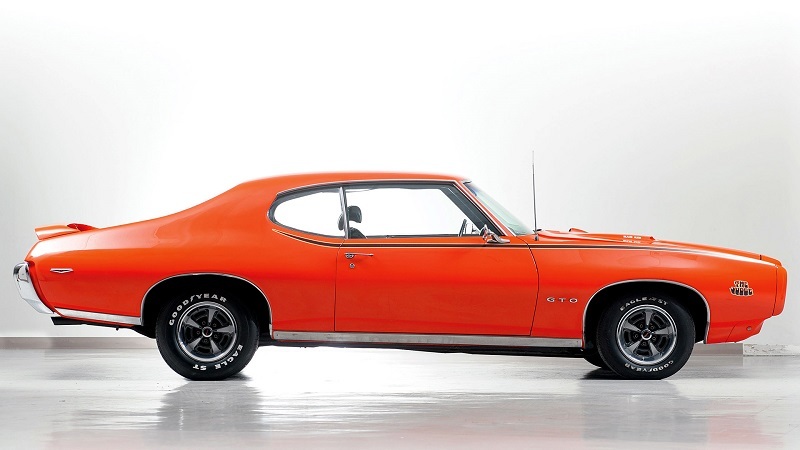 The 1969 Pontiac GTO “The Judge” was voted the best muscle car in 1969 (which is considered by many to be the best year in automotive history) according to thousands of votes on Summit Racing’s Facebook polling. 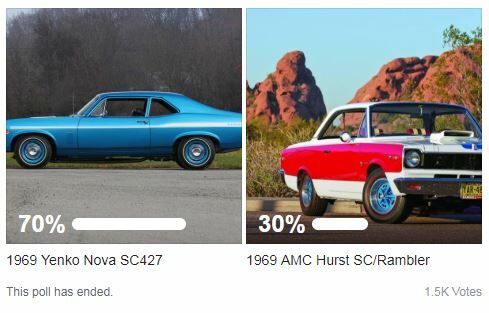 Our friends at Summit Racing and we at OnAllCylinders were commemorating the 50th anniversary of this legendary year in American automotive history when we asked you to vote for your favorite. 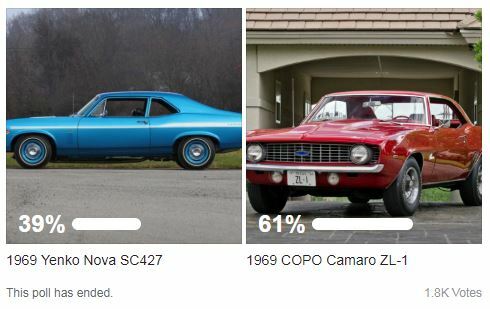 Inevitably, a bunch of people will feel outraged that their favorite car didn’t win. We’re sorry and mourn with you. Every car in the eight-car field was a legit contender, along with another dozen that didn’t even make our little tourney. 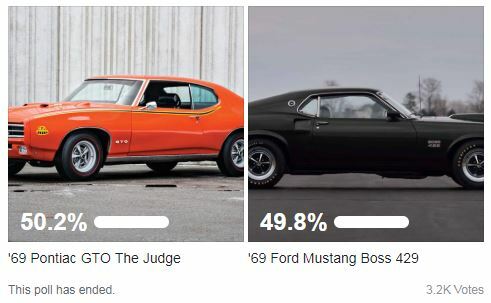 NOTE: Look how close the vote was between The Judge and the Boss 429 Mustang (and, to be fair, the COPO ZL-1 and Charger R/T as well). No shame in the first round knockout for the Boss or General Lee. 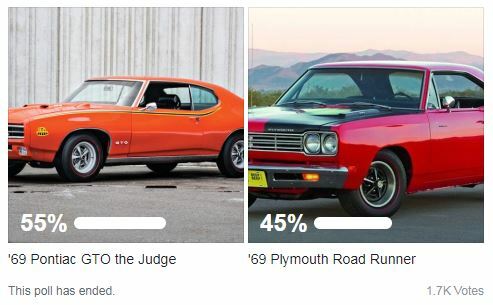 Either car could have won the entire thing had the voting winds been blowing ever so slightly in a different direction. Like our kindergarten teachers used to say, everyone’s a winner here. But The Judge is just a little bit more of a winner than everyone else. Here are a couple more shots of one just in case you’re wondering why. Why not look at the sales tally for each of these models? Back when i was about 20 years old, i had a chance to ride in a judge just like the one pictured. I will always remember the shear torque that car had going through the gears. The guy wasn’t even getting on it! 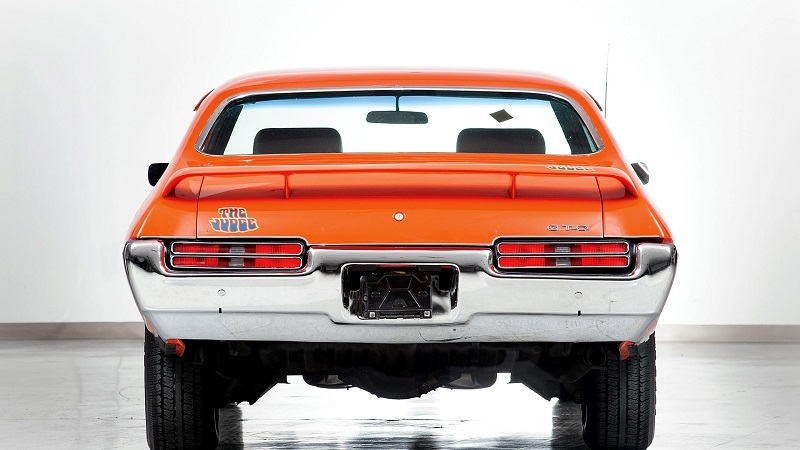 That’s what i like about Pontiacs; they are very torquey and very driveable. It may not be the fastest of those years, but i am sure not many cars could beat it to 60. Also, the car is the best looking one of all, as far as i’m concerned. This was a popularity contest not a contest based on technical specs…. the most popular of the voters made a choice, nothing else…. 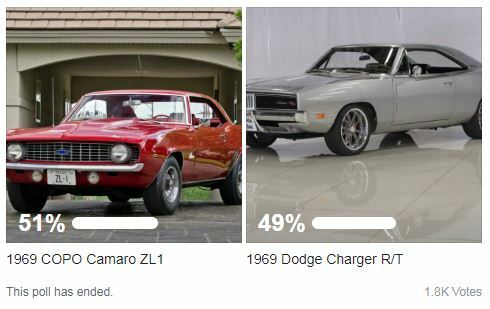 if it was a contest of which was the best car technically voted by professionals then it would have been different…. What about the L88 Cor ette in 1969? 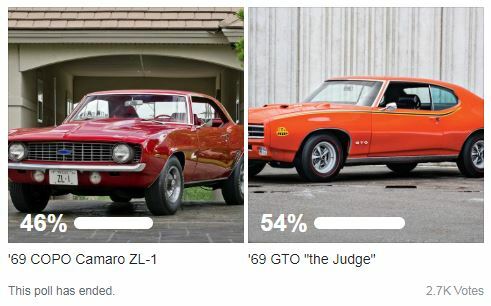 Or if you’re comparing the Yenko, then the ZL-1 Corvette? This is the most beautiful car in the world, I dream about it since childhood, as I remember, I saw it in one series and fell in love! King of Muscle Cars! 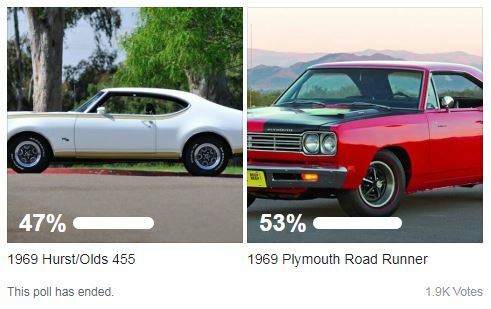 This car is wildly popular for over 40 years! 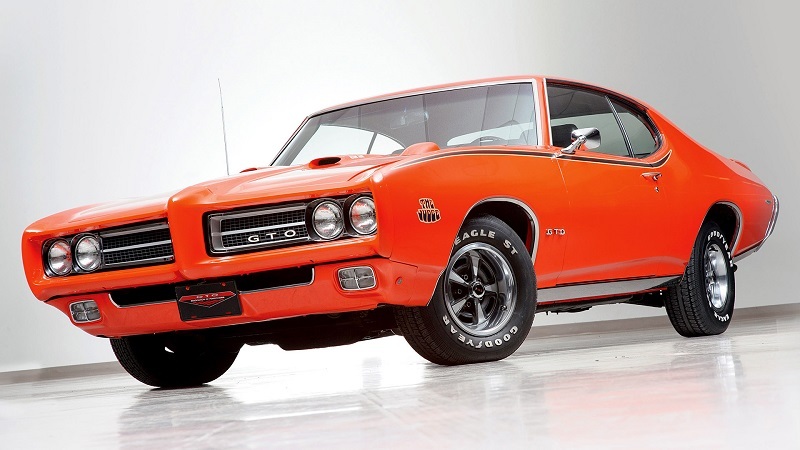 There was an even more epic 1971 GTO Judge Convertible. Engine like 7.5 liters. There were 17 of them altogether. It is a pity that they are few and even less in perfect condition, I remember I saw her live at the auto show, in perfect condition, the owner turned out to be an inveterate collector, but even he confirmed that this is his favorite car! I had a 68 gto 400. Good looking great thrue the gears but the best gto was the 65 389 360 horse 3 duces with gears. This was the best looking best set up. I liked it in dark blue. What a machine. This was my high school car, the year I completed HS jan 22 1969.We would go downtown on Woodward ave n Detroit Mi.after 8 pm and see the Plymouth Sup Bees, Road Runner. 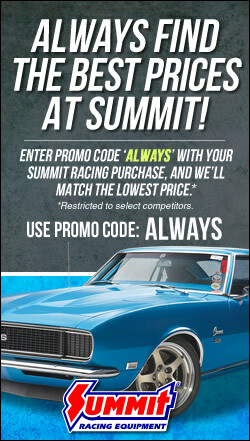 GTX,Chevy’s,Carmaro,Nova,Chevelle,Fords,Mustangs,Torino,aifairlanes, Cyclones, AMXs. GTOs and any body who had anything which would run.Woodward ave at nite was a drag strip for us dumb kids. God, only if we could live it over.